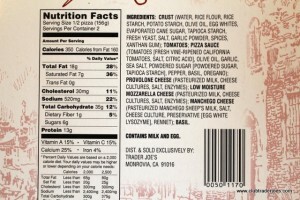 Trader Joe's Gluten Free 3 Cheese Pizza is absolutely to-die-for-lishious. The crust is thin and seasoned so it cooks up nice and crispy. 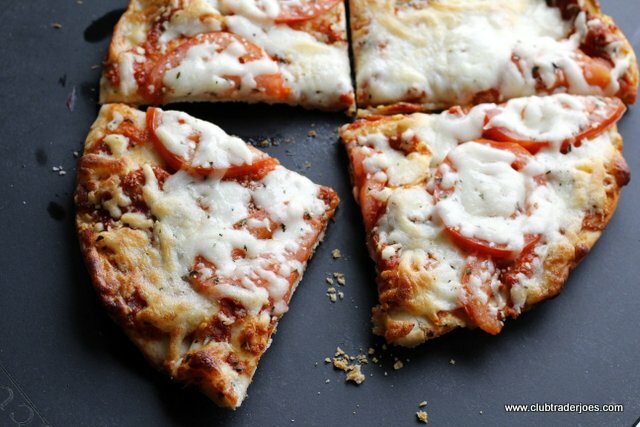 The three cheeses (provolone, mozzarella, and manchego), roma tomatoes, and basil blend well together providing a ton of flavor stacked on top of the perfect amount of tomato sauce. We definitely recommend this to everyone even if you don't have a gluten allergy. Eat it as it comes or get creative and add mushrooms, sausage and jalapenos (that's what we like). Since the price is only $4.99 there is no reason to not try this favorite today. 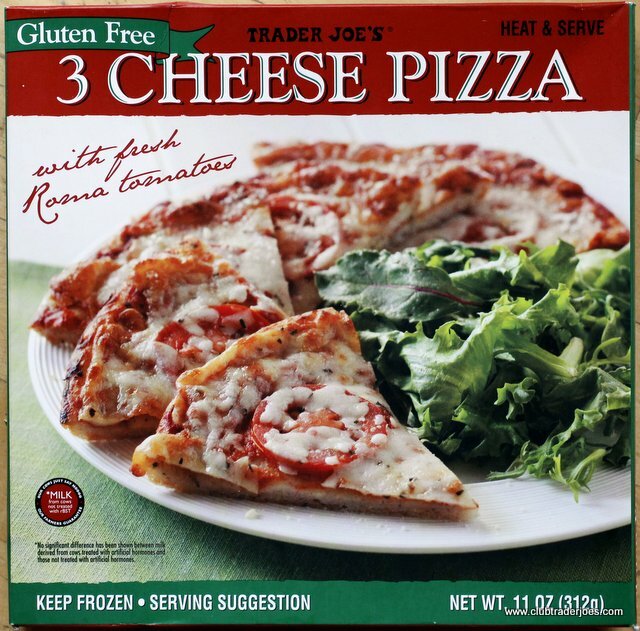 "Pizza in the morning, pizza in the evening, pizza at supper time, when gluten-free pizza's at Trader Joe's you can have pizza anytime. "